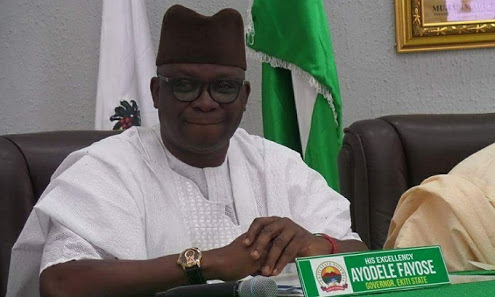 For placing him on watchlist and directing that he should be arrested if he attempts to travel out of the country as a sitting governor conferred with constitutional immunity against any criminal proceedings, Ekiti State Governor, Ayodele Fayose has demanded N20 billion as damages from the EFCC, a written apology from the commission to be published to all Security Agencies in Nigeria, three National Newspapers and the Social Media as well as withdrawal of the request/directive to Security Agencies to place him on security watchlist. Special Assistant to the Governor on Public Communications and New Media, Lere Olayinka, said in a statement issued on Thursday that the demands were contained in a letter by his counsel, Obafemi Adewale, dated September 3, 2018, which was received at the Abuja office of the EFCC yesterday. “In the light of the above, our Client has directed that we demand of you and we hereby demand as follows; a retraction and withdrawal of the aforesaid request/directive to Security Agencies to place our Client of the security watch list and arrest him at sight even whilst he still enjoys immunity as Governor forthwith. “A written apology to our Client published to all Security Agencies in Nigeria and in 3 National Newspapers and the Social Media for the flagrant mischievous and deliberate attempt to breach his constitutional rights and malign him in the eyes of right thinking members of the society. “Payment of the sum of N20bn as damages to our Client for the flagrant, deliberate, pre-meditated and reckless libel and unprovoked attack on his character and reputation and breach of his constitutional right/immunity as an incumbent Governor.